Trend Micro Philippines Presents 3 Awards to CT Link Systems, Inc. – CT Link Systems, Inc. Trend Micro Philippines Presents 3 Awards to CT Link Systems, Inc.
February 23, 2017 – Trend Micro Philippines presented CT Link Systems, Inc. with three awards during its Partner Appreciation Night held at the Prohibition Liquor Lounge in Greenbelt 3, Makati City. 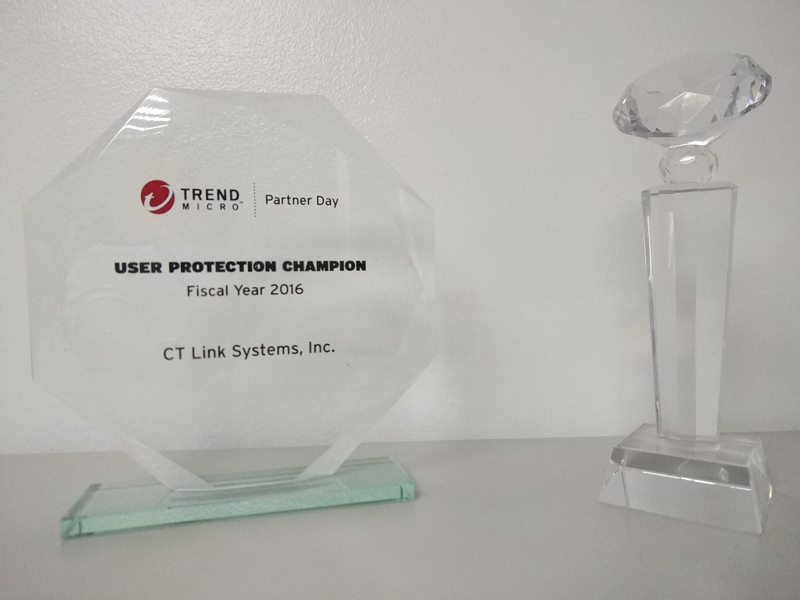 Trend Micro Philippines also awarded CT Link Systems, Inc. as the New Revenue Champion for FY-2016 in recognition of CT Link’s continuous effort in expanding its customer base for Trend Micro security solutions. Building new relationships with new clients is a diligent effort of Juli Muchada, CT Link’s product specialist for Trend Micro, who was adjudged the Pre-Sales of the Year for FY-2016. Keep your data secure. Contact CT Link Systems, Inc. now.